With just a few hours remaining (as this email is sent) we already know that from the perspective of individual liberty and personal freedom the 2019 New Mexico legislative session was the worst within memory. With the ‘progressives’ takeover of New Mexico government in November, we knew that the session would involve a lot more spending and numerous attacks on personal freedom and your pocketbooks. Those fears have largely borne themselves out as anyone can see from a cursory look at the Foundation’s ‘Freedom Index’ in which the organization rated (from -8 to +8) any bill that impacted personal freedom. • SB 489, the so-called “Energy Transition Act” is a classic case of “logrolling”: placing numerous items in a bill to build support for the legislation. More importantly, the law’s provision that mandates 50% renewable electricity by 2030 will have dire impacts on New Mexico electricity prices. Those impacts will not be fully-recognized right away, but the shuttering of San Juan Generating Station in the Four Corners will. • HB 85 bans “right to work” laws as passed by the 10 New Mexico counties that have adopted them (and potentially more who would have). It is a fine idea to make labor policy at the State level, but with cities and counties adopting minimum wages and even considering sick leave mandates, there is little intellectual consistency. 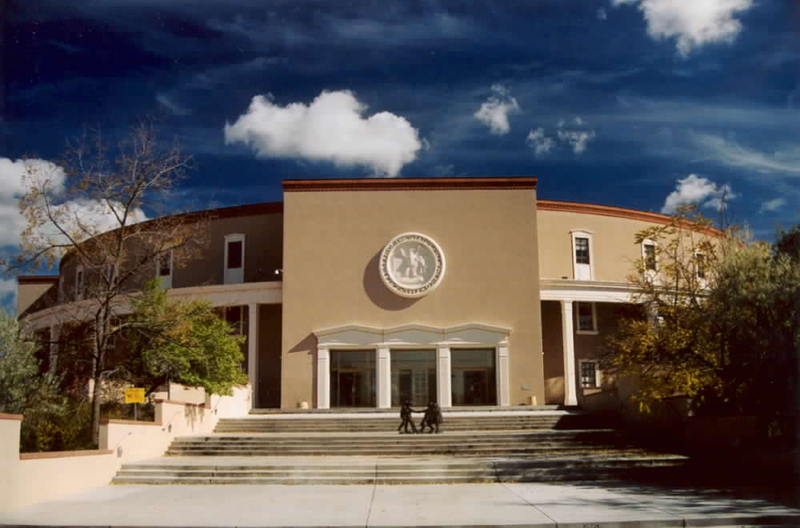 • SB 2 in its original form would have led to unlimited film subsidies in New Mexico. The State currently caps annual subsidies at $50 million. That number rises to $110 million under SB 2 and the Legislature is spending $225 million to pay off a portion of the subsidy backlog. • SB 437 raises New Mexico’s minimum wage from $7.50 an hour to $12.00 an hour. While the bill does preserve some carve-outs for tipped restaurant staff, the bill will have a tremendous negative impact on New Mexico’s struggling rural communities. • The budget passed this session provides for an 11% increase year-over-year. It is simply unsustainable and New Mexico is already a big-spending state. The issue is a lack of prioritization in the Legislature, not a lack of money. Other bad legislation passed such as the bill to abandon the Electoral College, implement same-day voter registration, etc. (and some of it failed), but this session will have long-term negative effects on New Mexico’s economy. We get what we deserve. This state is run from I40 north and I25 west. Those of us in the SE quarter of NM have to put up with it…the whole session was “Look at us. we’re in charge now” like a bunch of over privileged teenagers with no supervision. I hope we survive the stupidity. Ditto SW quarter of NM. Not mentioned was the immoral abortion and anti 2nd Amendment legislation that was passed. Time to punch out. New Mexico is a lost cause. I will be voting with my feet and relocating to a nearby state where my voice will at least have a chance of being heard. Looking on the bright side, I’m glad that “recreational” marijuana got shot down again! Wait Staff got what many of them wanted. Sorry not to see any proposals attacking the shortages of Nurses, docs, and techs/aides were introduced/passed. Most sorry to see nothing, if not even a Memorial, meant to assist the Government in controlling the inflow of Trespassers…or NewComers as Nancy is wont to welcome border crossers (http://tinyurl.com/yydp7c9u =6K since the end of Oct.) or abridge the Rights of criminals already here. None of us deserve this tyranny. That is exactly what this is. Our Constitutional Rights are on the line and we cannot civiliy accept this. The progressives have denied from day one the presidency of Donald Trump. They call it a resistance. Guess what folks. It is time to resist.